Encouraging your Hospital Gift Shop to carry the HALO® SleepSack® product line helps families to continue to practice safe sleep at home. We can help guide your Hospital Gift Shop and recommend styles, fabrics and sizes that will work best in your shop with your clientele. Our updated patterns and fabric options keep your offerings fresh. And, we make every effort to make ordering easy. 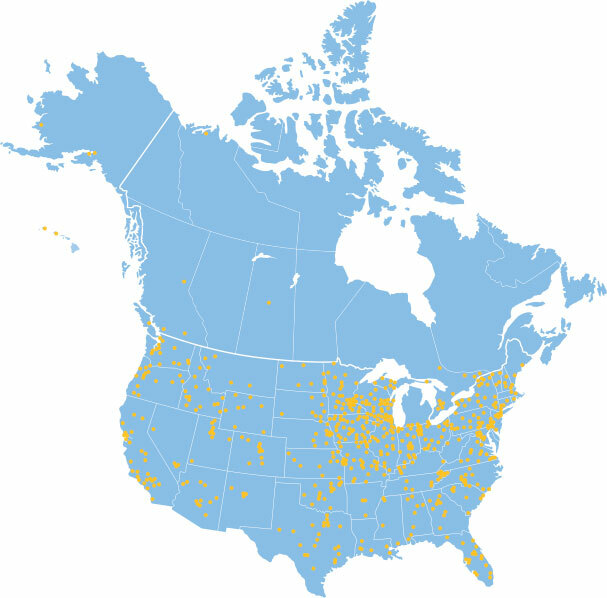 Our low order minimums allow even our smallest stores the option to buy without needing large displays or storage space. Contact us today to start carrying the preferred wearable blanket brand that hospitals and parents trust most. 3-way Adjustable swaddle that makes swaddling easy. Safe and secure swaddling made easy. Replaces loose blankets for safer sleep. Our founder, Bill Schmid and his wife Cathy lost their first born to SIDS. From this tragedy, HALO and its mission were born. For more than 20 years we’ve been educating parents about safe sleep practices and supporting safe sleep organizations such as CJ First Candle, Cribs for Kids and the Canadian Infant Safe Sleep Project. Since 2005, the American Academy of Pediatrics has suggested the use of wearable blankets. Today, HALO SleepSack wearable blankets are the #1 trusted choice of hospitals and are used in the United States and Canada to help babies sleep safely from the start. My daughter has been in NICU for a week now and they put her in a HALO SleepSack Swaddle last night and she slept all through the night minus feedings! She was so comfortable and kept warm! Thank you so much for an amazing swaddle blanket! I'm going to need to find one for our house when she's discharged!! I can't wait to bring her home and swaddle her in this awesomeness and brilliant invention! I will be honest, I didn’t think that I would use the SleepSack that much when I first got it. You see after working for 7 years in the NICU I am a pro at swaddling babies, so I figured that I would stick to my old swaddling ways. That all went straight out the window the first time I used the SleepSack Swaddle. This thing is awesome and honestly so much easier than traditional swaddle. What an innovative concept! 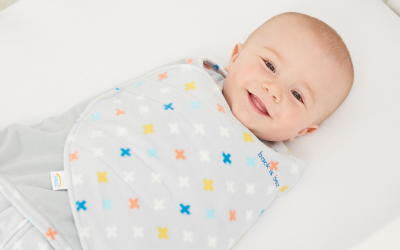 The SleepSack® Swaddle continues with a blanket-free sleep setting that is promoted by SIDS of Illinois and combines it with the option of swaddling infants to 8 weeks of age without the worry of covering baby’s face. Dayton Children's Hospital and Halo share a common goal of safe sleep practice to combat infant mortality. 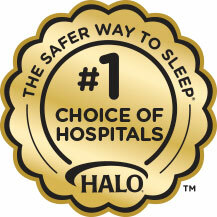 Halo Innovations was instrumental in help us navigate the implementation of our safe sleep wear program. Their staff helped us choose appropriate safe sleep wear for our in-house, gift shop and take-home programs. Their willingness to go above and beyond by donating HALO SleepSack wearable blankets was instrumental in the success of our community outreach events. This was truly an asset to our organization and our community. To place an order, please call 888.999.HALO or email safesleep@halosleep.com. 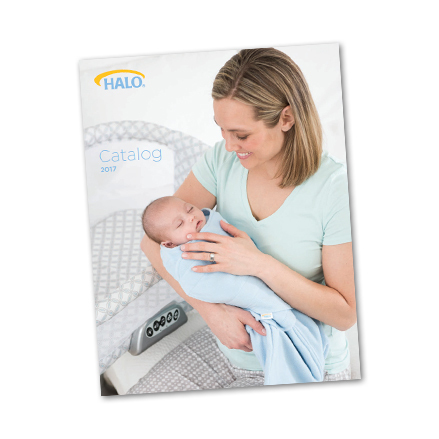 For product support, please contact customer service at 888.999.HALO or email safesleep@halosleep.com.